Creating a strong online presence that results in high rankings with the search engines can drive traffic to a company’s website and business through its door. Creating a strong online presence that results in high rankings with the search engines can drive traffic to a company’s website and business through its door. Doing so calls for a multipronged approach built upon sound Search Engine Optimization practices. Links are part of a winning strategy that can help one website and its content soar above the competition, but they can be a double-edged sword. When a “reputable” website links to content on another website, the search engines view the linking as positive and tend to reward it with higher ranking status. When incoming links come from spammy or disreputable websites, however, a company may very well find itself penalized in ranking results through no fault of their own. Getting rid of these toxic links is crucial for helping companies gain and maintain top standing in search engine rankings. SEOTonic can help. Performing an extensive analysis – Before toxic links can be removed, they have to be found. Our team provides extensive backlink identification services to make it possible to analyze major backlinks coming in from both reputable and disreputable sites. 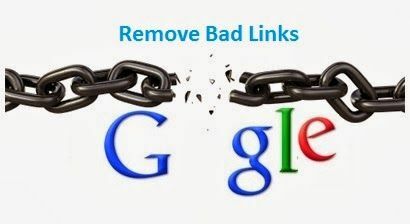 Providing comprehensive link removal services – Removing toxic links can be a tedious process for a company to take on by itself. Our team is here to cut through the red tape by reaching out directly to websites that have created toxic links to request removal. Providing search engine reporting – Our team will also work to make sure the search engines are looped in about link removal progress to help eliminate any penalties that may be in place. Offering detailed client reporting – Our team also keeps clients in the loop by ensuring they know what links have been identified, which ones are toxic and which ones have been removed. Links that point directly to a website can help or hurt search rankings. When toxic links are dragging down rankings and cutting off traffic as a result, SEOTonic is here to help remedy the situation. Just call us today to find out more about our link removal services and how they can help your website regain and build its search engine ranking.